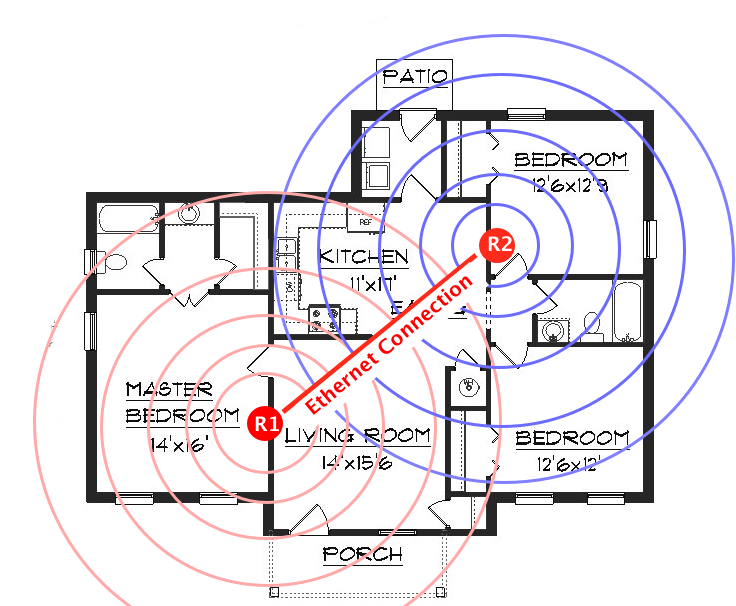 The best option to extend WiFi signal coverage, is to connect several routers together, with one being master (doles out the IP addresses to connecting devices) and the other routers acting as basic Wireless Access Points that extends the wireless coverage. Together, they share the same SSID and work seamlessly to extend the range, without compromising speed and reliability. With this option, the second and subsequent routers need to be placed in the low signal areas with a ethernet connection back to the master router, which is typically colocated close to the service provider's broadband modem. Before you connect a router to another, make sure that both have different IP addresses to prevent addressing conflict. Do not connect the second router to the master router before making the configurations in step 2. The master router is the one which connects to the broadband modem and will serve as your LAN's only DHCP server. Proceed with confguring the master router the same as you would if your were installing a single router WiFi solution. 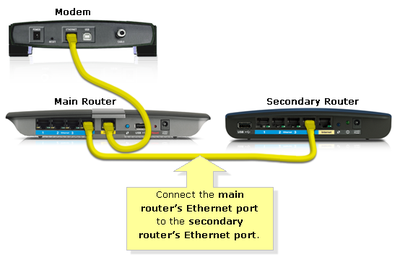 Connect the WAN port to the service provider's broadband modem. Set the IP address to be 1 more than the master router e.g. eg. 192.168.1.2. For each additional router, set the address to be the next consecutive address e.g. 192.168.1.3. Note:using consecutive addresses is not required but it helps to simplify things. Any address can be used as long as it is outside the configured DHCP range of the main router, but within the subnet. Set the encryption and password the same as the master router. Set the wireless channel so it is different than the master router. Disable DHCP (VERY IMPORTANT). This enables the master router to be the exclusive source of IP address assignments and prevents the 2nd router from attempting to assign another address when a computer moves from the range of one router into the range of the other. Now you need to connect an Ethernet cable from an open LAN port on the back of the master router to an open LAN port on the back of the 2nd router. Make sure you are using a LAN port on the second router, not the WAN port you would normally use, had this been the master router.